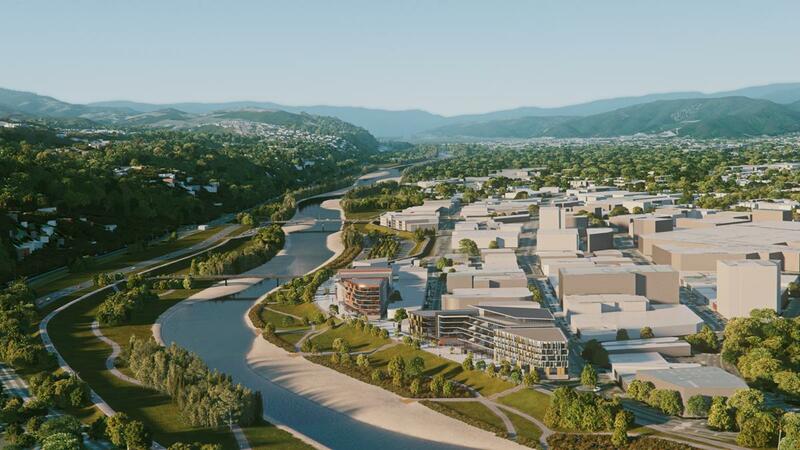 Greater Wellington Regional Council and Hutt City Council now have in place the design for riverworks and the promenade, and funding is committed in their Long Term Plans. 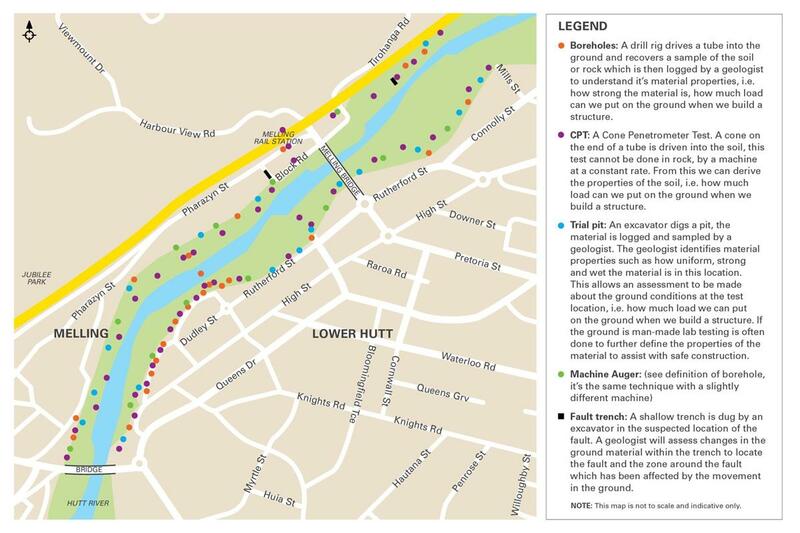 This month, the RiverLink team will start investigations to better understand the geotechnical complexities of the Hutt Valley. This work will inform the design of the new stopbanks, a large retaining wall which will support the promenade, piers and abutments for the pedestrian cycle bridge and help us understand the costs for building a highway interchange and new Melling bridge. We also expect the findings to help us understand how a nearby major fault line could impact our designs and how best to protect the aquifer beneath the surface. "From August to October 2018 you can expect to see all manner of machinery both in and around the river. We’ll use excavators, drill rigs and other geophysics equipment – all in accordance with resource consent conditions," says Alistair Allan, Greater Wellington Regional Council. This work will take place on both sides of the river from just upstream of Melling Bridge to the Ewen Bridge. The map below shows where the work will be done. You have received this email because of previous communications with the RiverLink project. If you no longer wish to receive these emails you can choose to unsubscribe here. What does subscribing mean? Please read our privacy statement.